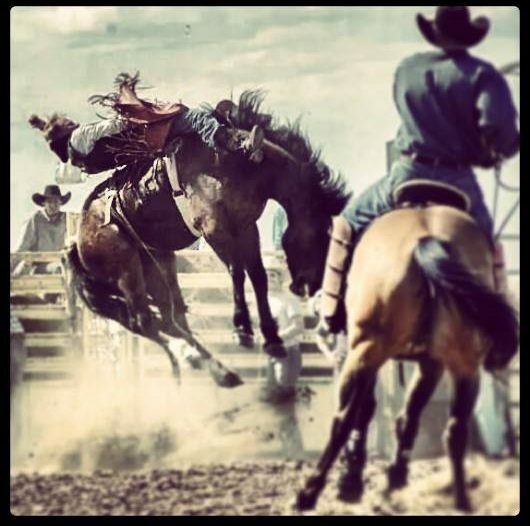 We are approaching the month of June and in our family that can only mean one thing: SUMMER RODEOS! My cowboy-coach will spend more time away from home in the next two to three months than he will all year. That leaves me in full mommy mode and makes me the one person to “get it all done”. The days become long and lonely and the chore list is lengthy; however I’m thankful I have had some practice at running the show while he is on the road. I’ve build a handy little toolbox over the last few years that I use to (sort of) get it all done. You’ll notice I keep using the phrase “sort of ” and that’s because you will never get it all done. There will always be that to-do list and new things to add to it. I’m going to share with you my method on how I keep items checked off and feel accomplished at the end of each day. I work a full time job outside of the home and only have so many hours at the end of they day to get stuff done. What I’ve found most helpful to get the most of those hours is to make a list. I jot down five items that I want to accomplish in the evening and order them by priority. The first three are top priority for the night while the last two are of lesser importance. Please let me stress that these are outside of my normal mom duties of keeping my child fed, clean, loved and happy; my list is in addition to tending to her needs in this one-woman show. We each have our own priorities and everyone’s list will look a little different. A tidy home is important to me, so the top two chores on my list every night are to do one load of laundry and clean the kitchen before bed. In my opinion, dishes and laundry are two of the major things that contribute to a messy home, so I tackle them first. Another item that is often on my list is exercise. I put the baby in the stroller and we go for a thirty minute run. She’s normally fussy and in need of a nap so she falls asleep and I get to exercise. Win/win. If I can get three of the five things on my list accomplished I feel like it’s been a pretty productive night because I also have to remember I’m caring for a toddler all at the same time. If you have children, work on your list when they are napping or asleep for the night. Any parent knows how much more you can get done when your little one is asleep. Once the baby is down one of my biggest struggles is being on my phone. I can turn a thirty minute task into one that takes two hours due to mindless scrolling. Put the phone down and get stuff done! Another thing that helps me is to set a timer. I really can clean most of my home in an hour if you break up the whole house into ten minute segments. Sometimes I’ll drink a Spark, set a ten minute timer for each room of the house and get as much done as possible in those ten minutes. You’d be surprised at how much you can do if you pretend you’re racing the clock. Lastly, stay focused! If you’re in the middle of sweeping the kitchen, don’t let those toys in the other room steer you off track. Try to start and finish what you’re doing (again, the timer really helps you to focus on one area at a time). Please don’t ever forget that you are enough. Social media does a great job of only showing the beautiful and tidy. I guarantee you that even the most super of Super Women have some dirt that doesn’t make it to Instagram. Social media subconsciously tells us how we should be and act and that’s often not realistic. If you completely blow your to-do list because of cuddles and dancing in the kitchen, then that probably needed to be #1 on your list anyway. The mess will be there tomorrow. Try again later. When you are ready to try again, I hope that these tips will help you (sort of) get it all done and more efficiently so that you have more time for those dancing-in-the-kitchen moments. Got some great tips on this same topic? Leave them in the comment section. Sharing is caring and we’re all in this together right? Awesome advice!! What a blessing for you to have gleaned all of this knowledge so early in your Mothering years.